Canvas has several methods to restrict course access. By default once a course is published students will be able to view course materials. This knowledgebase article covers the various options instructors have to restrict student access. Canvas provides several methods for instructors to restrict student access once a course has been published. As an instructor, you can change restrictions for student access in your course. These restrictions include the ability for students to view and participate in the course. The following Canvas guide provides a walkthrough on restricting view access; How do I restrict student access to a course before or after the course dates? Restrict students from participating in the course between dates: If you do not want to let students participate in the course outside of the course dates, select the Users can only participate in the course between these dates checkbox . This checkbox ensures that students can only participate in the course between the specified dates (instructors and admins are not affected). If this checkbox is not selected, students can participate in the course before and after the start date. 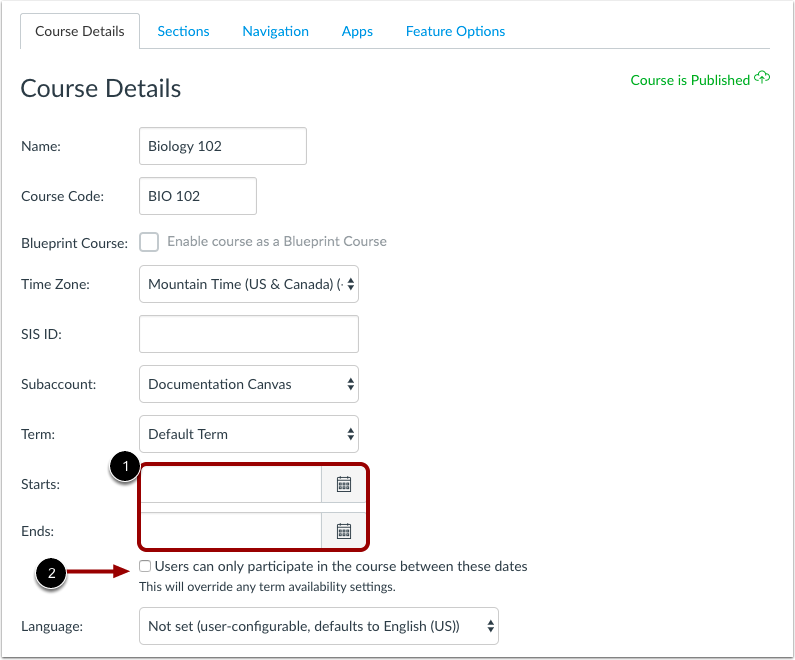 More details on setting course date restrictions can found in the Canvas user guide; How do term dates, course dates, and section dates work in Canvas.